We can unlock all HTC smartphones in just minutes, and the unlocking is permanent even if you change the ROM or do a hard reset. The device will be unlocked forever, with both Windows Mobile and Android operating systems. HTC unlocking is a simple process. 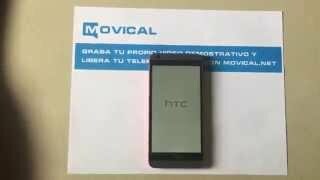 To release your Wildfire, One or Desire model by IMEI, without losing any information or the warranty, contact movical.Net. An innovative and secure system is just what you are looking for.